Notes: It was a bit of a grotty day with sleet and snow predicted. I headed home from my parents first thing this morning, but had to stop off at the supermarket on the way to pick up a few essentials. 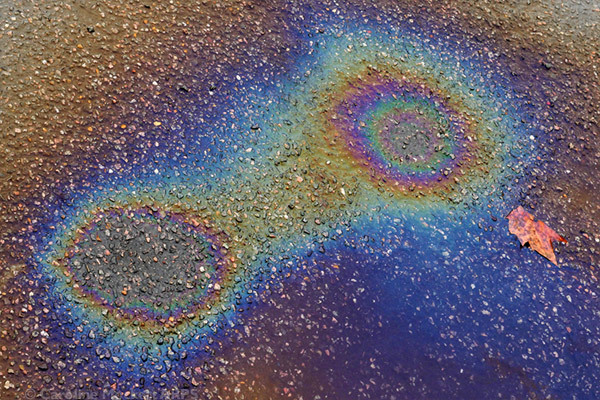 I spotted this oilslick rainbow in a puddle in the car park. It was more colour than I saw for the rest of the day – it was snowing quite hard on the way home, but fortunately it didn’t settle. Notes: Actually, this should probably be called “solidering on”. 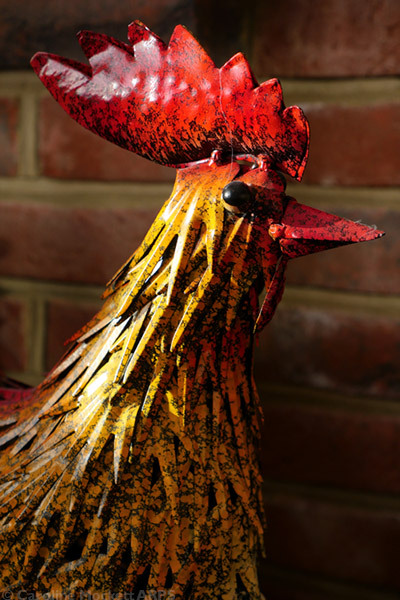 Last night, I began to come down with a nasty cough and Christmas Lurgy. Just what I need! Still, I went to visit Mum and Dad to stay with them over Christmas, and tried to keep my germs to myself. 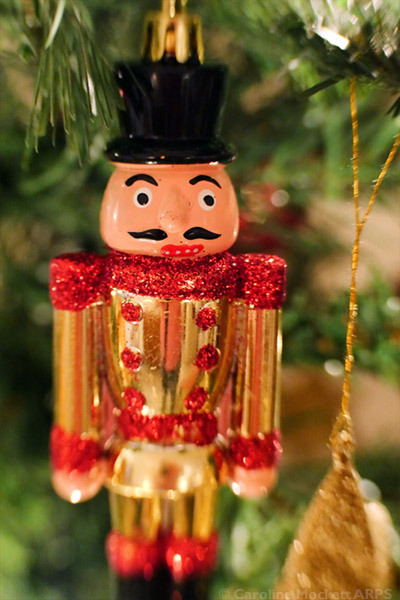 This is one of the ornaments on their tree. Notes: I haven’t been to London for a few weeks but needed to visit again today. Thankfully the trains were all behaving themselves despite the snow yesterday (a miracle in itself). I arrived early for my meeting so took a stroll around Broadgate and Whitecross Place, always fertile ground for pictures. 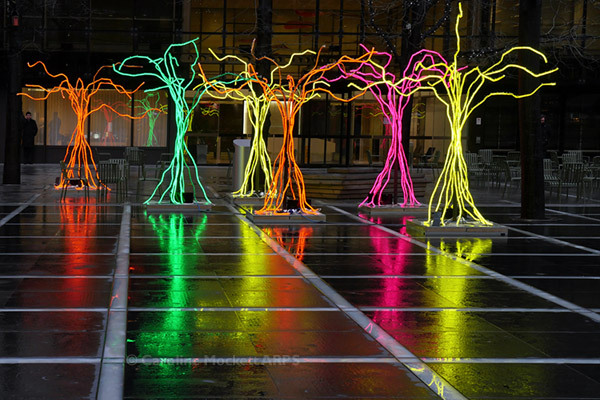 I cam across these fantastic LED-lit trees, with spectacular reflections in the wet pavement. Just my sort of thing! Notes: Another day with grey uninspiring weather, so I turned to my bespoke stained glass window for a bit of inspiration today. 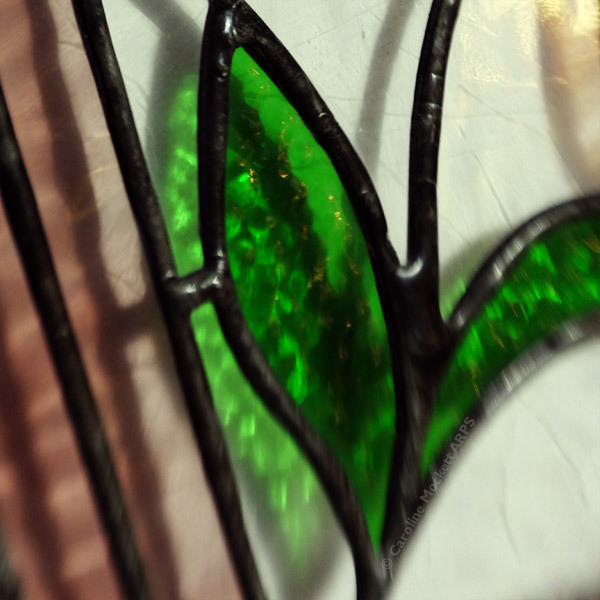 I designed it and had it made years ago – in the style of Charles Rennie Mackintosh’s rose design. I decided to pick out one of the details of a leaf today, as it was casting interesting shapes on the white backing behind. 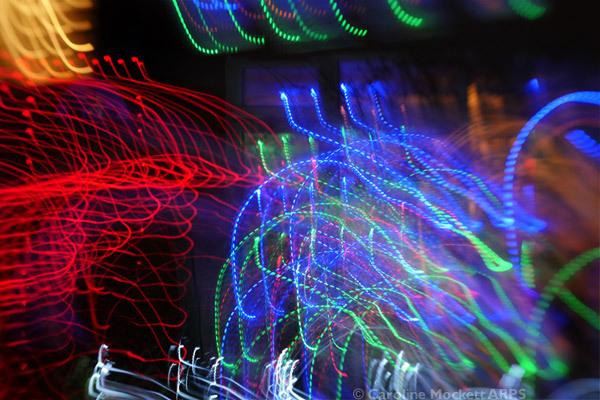 Notes: The weather has turned rather grotty and there wasn’t any interesting light during the day, so I waited until dark fell and took a wander around some of the neighbours’ houses looking for some Christmas lights to play with a bit of ICM. I liked the different patches of colours in this one, and thought it would make a good shot for Treasure Hunt Theme #45 – Patchwork. Notes: It was a bit grey first thing, but the sun came out by mid-morning. A friend was coming over for lunch so we headed out to Paper Mill Lock to have a sandwich and some very tasty cake at the little lockside café. Then a quick walk along the towpath, avoiding the worst of the muddy patches. 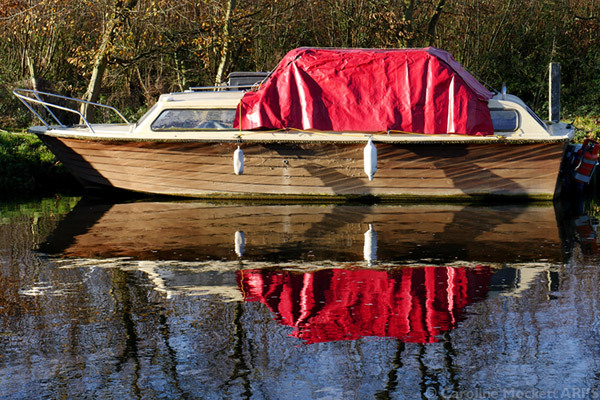 This boat was wrapped up well for the winter – the red tarp popped against the blue sky reflected in the water.